Many communities and schools take tremendous pride in providing their sports teams with high quality playing fields. Whether the surface is grass or turf, the vibrant lines and colorful logos that mark it help enhance the game experience for players, officials and spectators alike.Now that spring has officially arrived, it’s time to prepare athletic fields for the variety of seasonal sports that are played in warmer weather. It takes a tremendous amount of time, effort and expertise to prep and maintain athletic playing fields, especially when it comes to painting lines and logos. Many athletic facility managers consider field striping an art, and they know achieving top-notch results is dependent on the quality of the paint, the delivery system and the planning as well as their expertise. There are many products on the market that help athletic field managers stripe their fields. Before you decide what tools you’ll need, it’s important to be clear about your goals and your expectations for what you want the products to achieve. For instance, there are multiple delivery systems for applying paint. While each system will create a line on the playing surface, there are different methods and efficiencies involved. Athletic field paints also come in many different varieties. For starters, make sure you choose paints that are made for athletic field marking. These have been specially formulated for grass or turf playing surfaces. When marking grass fields, it is of primary importance to keep the grass healthy and growing so it not only looks great, but provides a safe playing surface. Using other types of paints could damage or kill the grass. With artificial turf fields, it’s a good idea to check with the field manufacturer for tips on selecting the right paint. All paints are made up of various pigments, binders, carriers, dispersal agents and water. However, manufacturing quality athletic field paints that will be sprayed on living plants is highly technical. A great deal of research and exacting processing goes into developing high quality, long-lasting athletic field paints that deliver crisp, clean lines with efficiency. With Stripe Athletic Field Marker, painting sharp, bright lines in a single application is quick and easy. It dries in just 15 minutes, so you can paint and play in the same day. This fast-drying feature also makes Stripe Athletic Field Marker ideal for last-minute touch-ups and for field painting during spring’s often inclement weather. One can will stripe approximately 300 linear feet (at 4" wide stripe), and this durable paint is a perfect match with our reusable poly stencils. At Traffic Safety Direct, Stripe Athletic Field Marker is available in white, orange and red and it’s safe for grass and new grass growth. 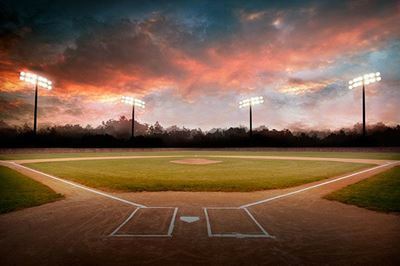 This means you can use it on all kinds of grass athletic fields, including football, baseball, softball, soccer, lacrosse, and field hockey. It’s also great for lawn and clay tennis courts and golf courses. Stripe Athletic Field Marker is not only long-lasting and VOC compliant, but it has been specifically developed to work in nearly all line painting machines. It features a universal spray head and has been engineered for use in an inverted position. Keep in mind that paint liner machines come in many types, and the key is to choose one that suits your specific purpose. 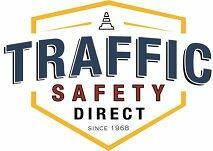 Traffic Safety Direct sells a portable Athletic Line Painting Machine that creates lines between 2" and 4". This do-it-yourself line painter is designed for use with our aerosol paints. Have questions? Before you place an order for paint or equipment, give us a call. The knowledgeable team at Traffic Safety Direct is here to help you choose the right products for your athletic field painting needs.